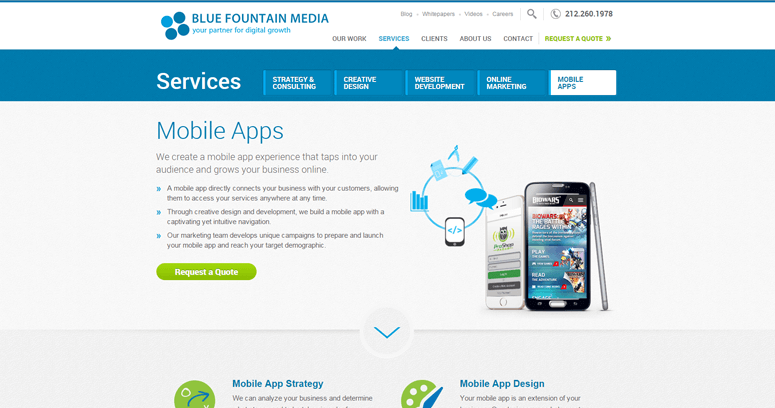 Blue Fountain Media is a high quality, innovative web design firm that works hand-in-hand with clients to create absolutely amazing websites that effectively advertise the unique value of their goods and services. 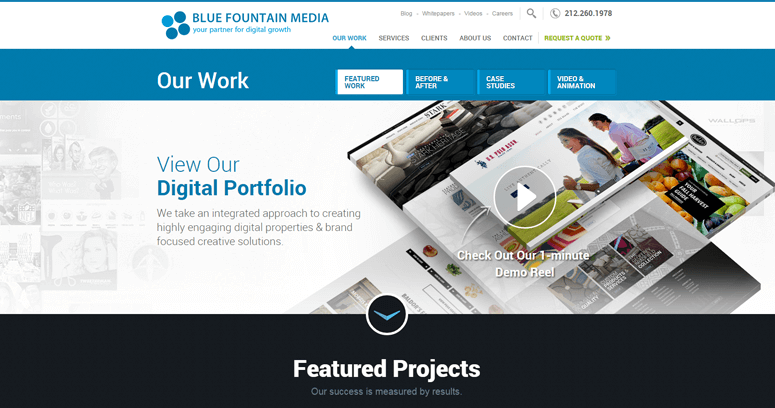 Our team of experts knows that brand-building is an integral and effective component of the online marketing process, and that's why we use websites as a modality through which we show the world what your company's goods and services are all about. Whether you're attempting to attract new customers or get your loyal customers to become passionate brand ambassadors, we know which strings to pull to make it happen. 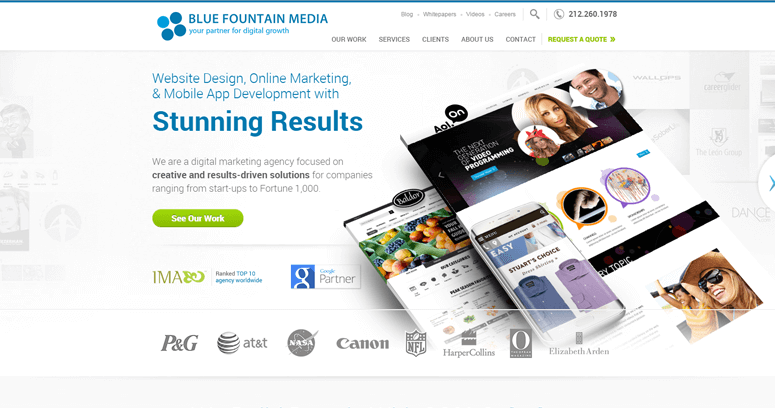 When you use our exceptional web design services, you'll be blown away by your ROI.